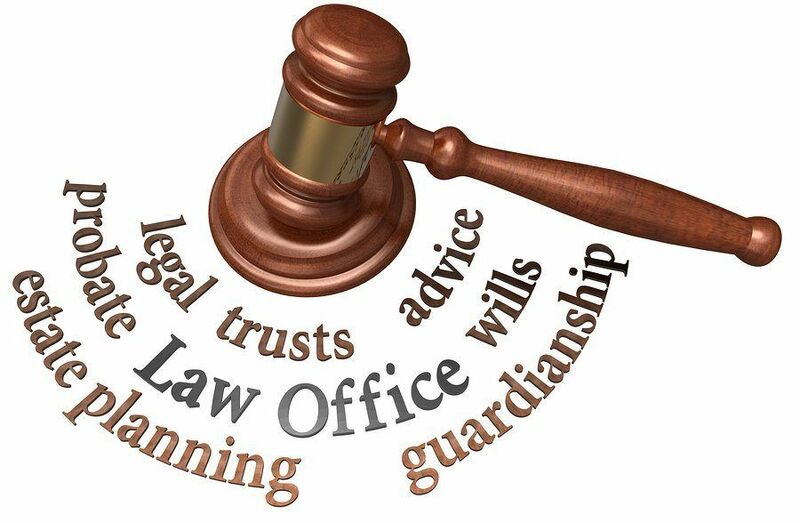 It's important to find the best probate lawyer to suit your individual situation. Photo: Yastremska, Bigstock. If a deceased person makes you an executor for their Will, deciding whether you need a probate lawyer or not is one of the most important decisions you need to make. By consulting with legal professionals and obtaining a probate, an executor gains the authority to deal with assets and obtains protection from claims. This is why it is extremely important to have a reliable and experienced probate lawyer to assist you in distributing assets when dealing with a complex estate. Who are the best probate lawyers in Sydney? The Norton Law Group is passionate about making sure clients enjoy a genuine difference when it comes to soliciting their services. Recognised as one of Australia’s best law firms, Norton has gained a reputation for its ability to resolve matters in a prompt and cost-effective way that works to avoid heading to court wherever possible. Principle practitioner and co-founder Franco Pomare is a Law Society accredited family law specialist who have successfully represented numerous clients. Much of his experience has seen him win high profile cases with high net worth clients. As a specialist litigation lawyer, Franco has had a great deal of success in work surrounding probate, will disputes and estates. 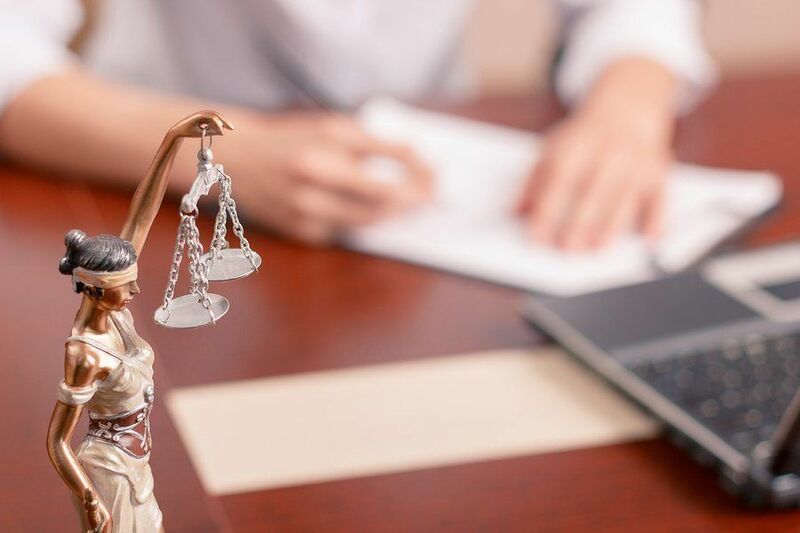 With a broad understanding of legal precedent to match his courtroom experience, Franco is one of the most well equipped solicitors in the field. Franco is as diligent as a leader as he is as a lawyer. His careful supervision of the Norton Law firm ensures the highest standard of quality service is given to any and all clients that seek their consultancy. Gabriella Arvanitis is another highly effective practitioner at Norton Law Group. Her impressive educational background and first-hand experience in family law, serving for a time as a legal associate to the Family Court of Australia, has made her a formidable ally to her clients. Gabriella is highly emotionally aware and is able to relate to clients in meaningful ways. This level of understanding helps her to provide guidance to clients as well as be a more effective advocate for them. The experience shared by the Norton team makes them one of the best family law firms available. Their proven experience in litigation and mediation is reflective of their special attention to detail and sensitivity when it comes to highly complex cases. The sensitive and respectful treatment of each client’s affairs goes hand in hand with Norton’s focus on client confidence. They want clients to fully appreciate the legal process and make the most informed decisions that they can. Their focus on approachability and building long-term client relationships means that Norton is both highly accessible and easy to work with. This is a law firm that treats its clients and their cases with a great deal of diligence and careful attention. Norton is forthcoming in that it owes its success and reputation as a firm because of its client focused approach. This approach not only makes clients feel listened to but helps Norton’s lawyers achieve success on their behalf. In regards to wills and probate, Norton proudly advocates the best ways for their clients to go about their last will and testament. The comprehensive understanding of family law held by Norton’s practitioners allows them to render highly effective consultancy to their clients in regards to will preparation and probate. Mobile Solicitor delivers premium services through its experienced and qualified lawyers. Photo: screenshot from www.mobilesolicitor.net.au taken on 16/8/17. Mobile Solicitor was our favourite law firm to choose from, especially for probate lawyers. 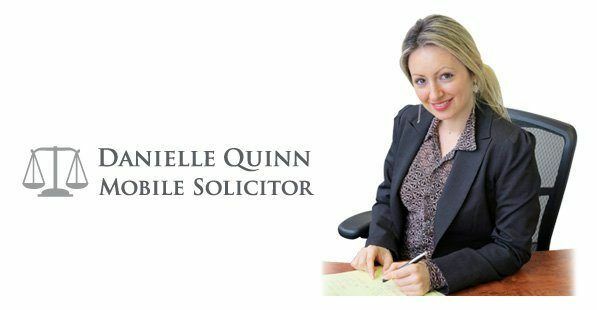 Their primary lawyer, Danielle Quinn hosts long-term experience in law, specialising in probate services regarding executor duties and estate complexities. Her experience in the field is invaluable for anyone seeking professional and expert representation when trying to successfully apply for a Grant of Probate and validating the authenticity of a Will as an executor. On her website, Danielle also provides very detailed information regarding all of the legal services she provides and how they relate to you as a whole. Specifically, she goes into careful detail regarding probate, in what ways probate will affect you and the possible courses of action this could lead to. Irrespective of the complexity of the estate and what kind of relationships have been involved with the deceased, whether it is a complex share portfolio, multiple executors or other complex liabilities that must be considered, Mobile Solicitor has demonstrated a willingness and ability to perform that we could not ignore. As per the testimonials of their clients, Mobile Solicitor guaranteed many of the following services, making the law firm a top pick for us. Based upon what we saw, Mobile Solicitor is able to offer an extremely high standard of legal services, representing clients in an excellent fashion. Mobile Solicitor’s lawyers have shown a desire to carefully listen to the client’s issues and understand their needs, basing further legal action in only the best interest of the client. This leads to a close working relationship together which is different to the usual distanced lawyer-client relationship. We found this especially comforting to potential clients. Other benefits of Mobile Solicitor that we found especially useful in the legal process were the timely manner that their lawyers performed and were able to communicate in. The high level of transparency that Mobile Solicitor maintained meant that the client is always kept fully informed every step of the way. Although a small firm itself, we found this is not a disadvantage as it is crucial to sustaining the close and personal relationships that Mobile Solicitor so values with its client. There is nothing worse in the legal process than for your lawyer to exclude you and any opinions you may have in the case at hand, which is something that Mobile Solicitor actively attempts to avoid. With an easy location based in the heart of Sydney at the CBD, Mobile Solicitor firm was our top pick for prospective clients seeking one of the most professional and expert lawyers, whist being able to easily communicate and reach them as well for an affordable price. It’s important that probate lawyers make efforts to include you in the conversation. Photo: HD_Premium_shots, Bigstock. Our second place goes to Probate Sydney, a law firm company that specialises in offering probate lawyer services for executors and administrators. 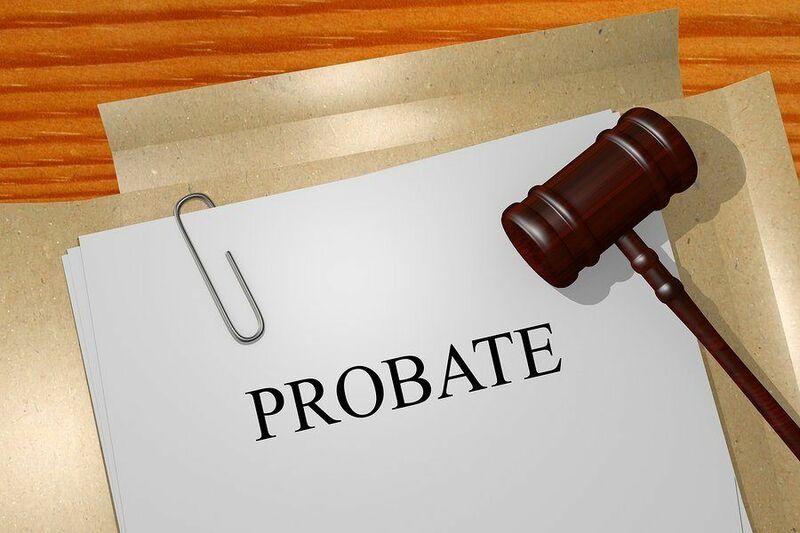 Although Probate Sydney has a great website that is loaded with detailed information regarding the probate process, they place a particular emphasis on the fact that they are not an online business. They prefer to meet with their clients, building a personal relationship where the lawyers are genuinely performing in your best interest. This is coupled with the fact that they have multiple offices located around Sydney to make it easy for clients to reach them whenever they need. Probate Sydney also emphasises their fixed cost guarantee. As the professional costs for obtaining the Grant of Probate is based upon the complexity of the estate, each client has their fees calculated differently. In most cases, if an individual estate is very simple in nature, whereby there are not many relationships and those that do are simple liabilities, the fees will remain quite low. However, if it is the case that the estate is more complex in nature with for example, a poorly written Will, multiple unco-operative executors and a rich share portfolio, then the fee itself will be much higher than a simple one. However, once they have calculated the professional costs required to collect the Grant of Probate, this will remain fixed in nature so much so that you won’t have to worry about any hidden or additional costs for the remainder of the case. Their hassle free locations and desire to build personal relationships with their clients, coupled with their fixed cost benefits makes Probate Sydney an easy choice for us. Probate Sydney offers personalised services, with an emphasised placed on convenience for customers. Photo: Michael Darcy Brown, Bigstock. Our next pick has to be Sydney Probate Lawyers, a small lawyer firm based in Sydney CBD. Due to their small nature, they have a large emphasis on the professionalism and experience of their lawyers. As a law firm that focuses primarily on estates and the administration they require, the expertise of their lawyers and the knowledge-ability they provide clients is excellent. Their founding lawyers are James Lane who has 25 years of experience in law, especially emphasising probate with a Bachelor of Laws at the University of Sydney and Seeyan Lee with more than 10 years of similar experience after pursuing a Bachelor of Law at the University of New South Wales. Sydney Probate Lawyers has made it is clear that if anything, they value transparency and honesty with their clients. They place tremendous emphasis on disclosing any potential costs and guide clients step by step through the legal process. It is very helpful for prospective clients to note that Sydney Probate does provide a guideline for their fixed pricing costs. Once these costs have been determined, they will not change again over the course of the contract. The value of the deceased’s assets is the determiner in costs, for example $125,000 to $150,000 in value translates to a cost of $1,500, but a value of $3 million to $5 million will cost $8,000. However, it is important to note that these costs may change depending on the complexity of the estate in question. Sydney Probate Lawyers provides excellence through its concentrated and highly-skilled employees. Photo: Yurolaitsalbert, Bigstock. Our next choice for probate lawyers would have to be Lawyers Plus for their professional and expert services. Although they do not specifically specialise in probate law but instead a wide range of legal content, Lawyers Plus has shown great experience and outcomes regarding their probate work. Lawyers Plus takes great pride in their customer service and satisfaction. This is achieved with what they call their team of highly professional team of lawyers. They maintain that their extremely long list of experience is crucial to their success and according to their testimonials this is largely true. Similar to many other law firms, their pricing is dictated by the complexity of the estate that is proposed. Although, they offer fixed pricing as well, this will scale according to the nature of the deceased’s liabilities and relationships. However, what impacted upon us the most was their dedication to their clients. They have emphasised by stating again and again, and this is shown through their legal outcomes that they only have the best interest of their clients in mind. Lawyers Plus prides themselves in being able to solve any legal conflict and find the best solution. Similarly, we find that Lawyers Plus’s easy to access location in the CBD and the comprehensive consultations they offer to analyse each individual situation as invaluable. Lawyers Plus offers a large range of legal services, delivering consistently great outcomes on many specific areas. Photo: Zinkevych, Bigstock. Our final choice goes towards Probate Lawyers, a website that is dedicated to providing individuals with a reliable and straightforward database to find the perfect lawyer to suit their legal needs. This advantage is what makes Probate Lawyers so beneficial and useful to anyone who is looking for a probate lawyer because it allows you to easily compare the pros and cons of possible lawyers. Probate Lawyers also have multiple relationships and links to other reputable legal services and websites to support their reliability. Their list of lawyers who are advertised on their website also expand to other Australian states as well which may be useful for people who might require probate services out NSW as well. For determining which lawyer to choose with ease, their list of lawyers makes this job somewhat easier. What we found most useful about Probate Lawyer’s website was the amount of detailed information they held regarding all topics about probate. You will find information for appointed executors and the duties they involve, what kind of obligations are necessary and whether as an executor you should hire a probate lawyer for your case. More than anything, we find that probate lawyers is at the very least, a great website to expand upon your knowledge-ability of possible lawyers to hire for your individual case. However as a simple directory, their services do not go much further than this and is best treated as a service to help you find the lawyer that suits you. At the end of the day, based upon professionalism, pricing, expertise and straight up experience, this is our list of the probate lawyers available in Sydney to choose from. Each firm offers their own advantages and it’s best to compare what firm offers you the best benefits to resolve your estate’s complexities.